ALLEGRA BOVERMAN/Staff photo. Gloucester Daily Times. 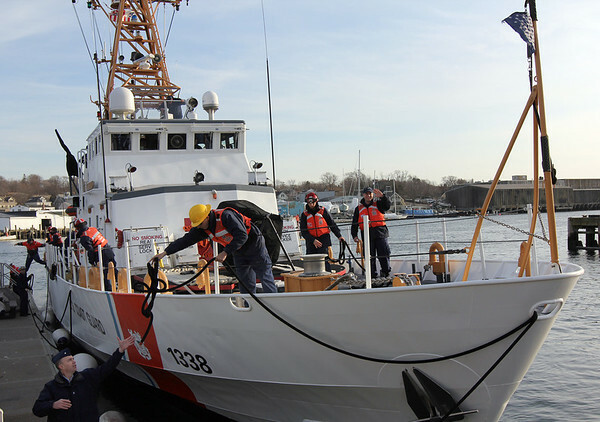 Gloucester:The Coast Guard Cutter Grand Isle returned to Gloucester on Friday afternoon after seven months of repairs and 10 days at sea.